Train, Advise, Assist Command - Air Afghanistan. Commonly referred to as TAAC-Air, this organization of less than 300 personnel from a number of coalition countries is attempting to train up a fledgling Afghan Air Force so it can fill a capability gap caused by departing U.S. MEDEVAC helicopters and close air support aircraft. TAAC-Air's mission is likely to run until December 2017 when the current training and fielding plan for the AAF is complete. Resolute Support advisors from TAAC-Air provide functionally based security force assistance to the AAF from the ministerial level down to the wing, group, and squadron level. Contributing Countries. In addition to the 250 U.S. air advisors there are 50 members of other Coalition countries to include Greece, Czech Republic, Romania, Turkey and Denmark. Basing. There are two main bases for TAAC-Air. One in Kabul and the other in Kandahar. Ault, Robert T. "Adapting Army Aviation for Irregular Warfare: Developing Leadership and Trust in a COIN Fight", Small Arms Journal, November 25, 2014. The author states that irregular warfare is not going away and conventional forces must be multifaceted and able to respond across the spectrum of operations and contingencies. April 27, 2016. TAAC-Air Mission Video,posted on YouTube.com by DVIDSHub. 2-min long video with some music and photos. July 1, 2013. "Afghan AF Mi-17 Helicopter Instruction". Flying America - Perfect Flight. Video of instructors from the 444th Air Expeditionary Advisory Squadron teaching Afghan Air Force pilots how to fly an Mi-17 helicopter at Shindand Air Base, Afghanistan. September 2017. "Building Momentum in Afghanistan", Air Force Magazine. TAAC Air advisors are training and assisting the Afghan Air Force as they fight the war. March 24, 2017. "Edwards man returns after six months of training Afghan pilots", Journal Star. A member of the Illinois Air National Guard's 182nd Airlift wing spent six months in Afghanistan to help train and advise pilots on how to better fly the C-130. July 27, 2015. "TAAC-Air holds change of command ceremony". DVIDS. BG Christopher Craige takes command. May 26, 2015. 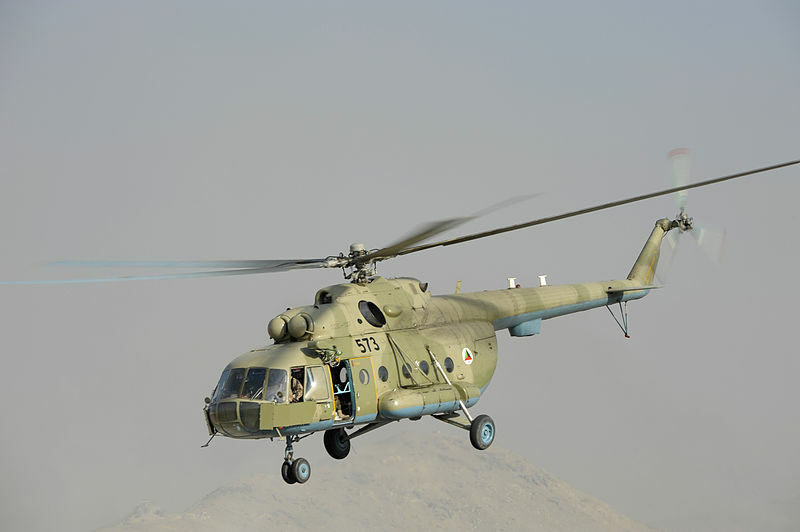 "TAAC-Air continues mission in Kandahar". DVIDS. Almost 40 advisors of TAAC-Air are based in Kandahar and work with the Kandahar Air Wing of the Afghan Air Force. March 17, 2015. "TAAC-Air trains web conferencing". U.S. Air Forces Central Command. With the introduction of software for web conferencing advisors can reach all 33 AAF locations in Afghanistan in order to conduct their train, advise, and assist mission. February 26, 2015. "TAAC-Air commanding general visits A-29 training program". Moody Air Force Base Press Release. BG Michael Rothstein is the head of TAAC-Air as well as the commander of the 438th Air Expeditionary Wing in Kabul. January 16, 2015. "TAAC-Air speaks of mission in its new name". U.S. Air Force News. The name is changed from NATC-A to TAAC-Air but the mission remains the same. 1. For more information on AFTTP 3-4.5 Air Advising see a news story entitled Newest Air Advisor publication leverages proven best practices, JBMDL.af.mil, August 31, 2013.